Can a Trump-Resisting Fla. Republican Outrun His Health Care Vote? Democrats looking to win over the U.S. House of Representatives in November have a keen eye on Florida's 26th Congressional District, where a well-liked Republican who agrees with Democrats on plenty of issues is struggling not to be defined by two positions where the parties dramatically disagree: health care and taxes. Republican Rep. Carlos Curbelo is seeking a third term in a district that runs from Miami's Hispanic southern suburbs down to the Florida Keys. He's out in front on some progressive issues not typically embraced by his fellow Republicans, like climate change and protecting "Dreamers," young immigrants brought to the U.S. as children without documentation. "These are local issues for us in South Florida. 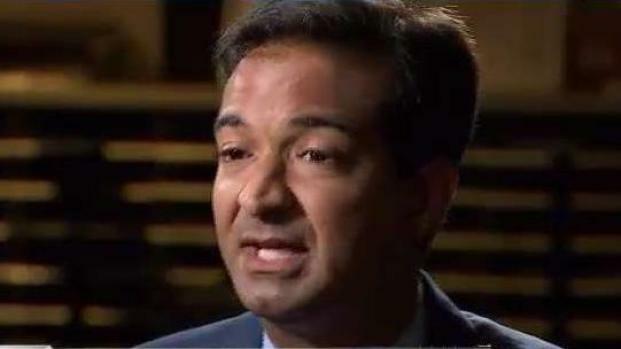 We don't debate these issues in theory, we see them," Curbelo said. Curbelo's a political rarity: a moderate Republican in the middle of a district that heavily supported Hillary Clinton in the 2016 presidential election. She beat President Donald Trump by 16 percentage points but Curbelo won by 12 points. Jackie Nespral sits down with Republican Congressman Carlos Curbelo on this NBC 6 Impact. "This is a community that I think wants representatives to get things done," said Curbelo, who has regularly distanced himself from Trump on issues from immigration to trade and said he did not vote to elect him. But the congressman has real opposition in the election. Democrat Debbie Mucarsel-Powell, an immigrant and former medical school administrator who lost her bid to win a seat in Florida's Senate in 2016, is making another run at politics, ready to jump into the partisan divide that is Washington, D.C. This article, part 7 in a series, examines one of the key battleground races for control of the House of Representatives in the Nov. 6 midterm elections. Carried by grassroots momentum, Democrats must take 23 seats from Republicans to win the balance of power. They are contending with Republicans' experience, organization and an outspoken but polarizing president. Health care, including Curbelo's position on "Obamacare," is the main reason Mucarsel-Powell is running for Congress, she said. "When I saw that Congressman Curbelo took that vote to repeal the Affordable Care Act in a district that has the second largest number of people that get their health care through the ACA ... I knew that at that moment I had to step in," she said. "Mucarsel-Powell trying to hit him on the health care issue is probably a smart idea ... probably the one issue that might resonate with those Democratic voters," Florida International University political science professor Kathryn DePalo said. While Curbelo's vote helped the House pass the Affordable Care Act repeal effort, which was narrowly defeated in the Senate, the congressman did see positive aspects to the law, like keeping young people on their parents' plan until they're 26 and guaranteeing coverage for people with pre-existing conditions. Many Democrats in tough races across the country are campaigning on Republicans' attempted health care repeal, and many are also campaigning on the Republicans' successful tax reform bill, including Mucarsel-Powell. Curbelo and other Republicans argued it would boost the economy and help the middle class but Democrats said it would help the rich more than the middle class or the poor. "There is nothing moderate about being on the Ways and Means Committee and writing a tax bill that benefits the wealthiest Americans in this country while leaving middle-class families behind," Mucarsel-Powell said. Democrat Maria Luisa Castellanos, who lives in Kendall, said Curbelo's vote for the tax cut made her so mad she volunteered for Mucarsel-Powell's campaign. "I called his office and I told him that if he voted for that bill that I would make it my purpose to help whatever opponent he was up against when the elections came because I thought it was so outrageous,” she said, adding that she was equally outraged over his vote on the Affordable Care Act. "He doesn't really care about his constituents, he only cares about big business and the people that contribute to his campaign," Castellanos said. Curbelo defends his votes on both taxes and health care. "Shame on anyone who defends the status quo on health care in this country," he said, adding his vote was part of a bipartisan push to build a more accessible, more sustainable health care system. And Curbelo insisted his challenger is out of touch when it comes to tax reform, because members of the community appreciate keeping more of their money in their pockets. "I understand if you are wealthy, if you live in a mansion like my opponent does, all this tax relief may not be that important to you," he said. West Kendall resident Tony Figueroa said that Curbelo's bipartisanship is what he likes most about him. "He understands his district, so he really makes an effort to listen to all sides," he said. A publicist and board member of the Miami Young Republicans, Figueroa said Curbelo's first term in office helped him show voters "how he was just that much different from Trump." The voters of the 26th District are almost evenly split between Democrats, Republicans and independents, and the nonpartisan Cook Political Report rates the race as a toss-up. DePalo sees it as the Democrats' best opportunity to pick up a seat in the area, more so than neighboring District 27, where Republican Rep. Ileana Ros-Lehtinen is vacating her seat, leaving a free-for all between Democrat Donna Shalala and Republican Maria Elvira Salazar. But Curbelo is likable, DePalo noted. "When you have somebody who is trying to paint him as this 'Trump-light,' or doesn't care about the folks in the district, it doesn't really ring true." Unlike most Republicans in tough races this year, Curbelo has held himself at arm's length from Trump. Nov. 6 will determine whether that's enough to keep him in Congress. NBC's Asher Klein and Gavrielle Jacobovitz contributed to this report.